Disney World has erected a statue honoring the toddler who was killed by an alligator near a resort hotel last year. According to the Orlando Sentinel, the lighthouse statue is a symbol of the Lane Thomas Foundation, which the Graves family started to commemorate their son’s life. The gold and blue statue features a plaque that reads, “Presented to the Lane Thomas Foundation. A beacon of hope. A light of love.” It is placed near where the tragedy happened on June 14, 2016. Plans to put up a statue were announced in June, one year after 2-year-old Lane Graves was snatched and killed by an alligator while his family was vacationing at Disney’s Grand Floridian Resort & Spa. Since the attack, Disney World has added alligator warning signs and has put up a fence along the edge of the lagoon. A spokesperson for Disney World has not yet responded to TheWrap’s request for comment. Here are seven updates since an alligator snatched a two-year-old boy, Lane Graves, at Disney's Grand Floridian Resort late Tuesday. The attack occurred at 9:21 PM ET on Tuesday night. The child was with his parents, Matt and Melissa Graves, who had traveled from Nebraska to vacation at the resort. At a press conference midday Wednesday, County Sheriff Jerry Demings said "there's no question" the child was dead, and that officials were attempting to find the body. The attack comes just as Disney was set to open a new theme park in Shanghai. Theme parks make up 31 percent of Disney's annual revenue. “As a parent and a grandparent, my heart goes out to the Graves family during this time of devastating loss, said Disney CEO Bob Iger in a statement Wednesday. "My thoughts and prayers are with them, and I know everyone at Disney joins me in offering our deepest sympathies." A legal expert told TheWrap that Disney could face a "multimillion dollar" lawsuit in the wake of this attack. Attorney Joseph Balice says that the family could sue for wrongful death and possibly negligent infliction of emotional distress. 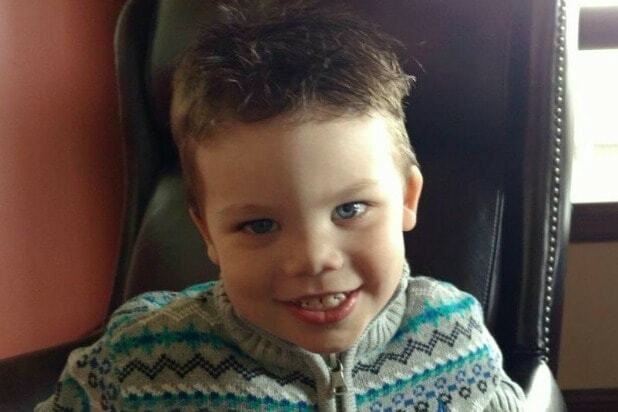 Wednesday evening, officials released this photo of the victim, two-year-old Lane Graves.